Now that the bulk of the build for “Alice Gale” is completed it is time to tackle the birdsmouth mast, boom, and yard. I am a bit intimidated by building a 20 ft birdsmouth mast but I am moving forward based on the very good information from the Internet on how to build a birdsmouth mast. First I finished up a few odds and ends with the trailer. I finished wiring the lights, and added the side bunks. 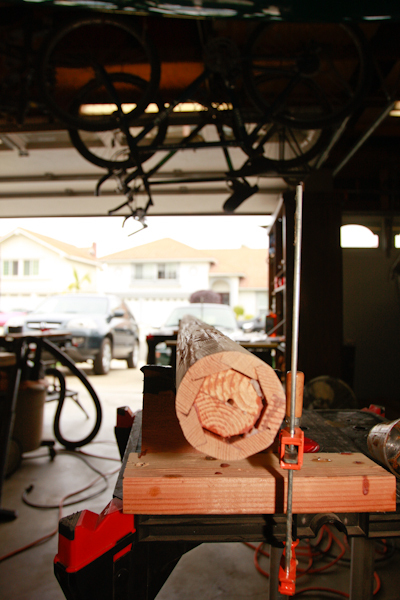 I used my table saw and band saw to make the 8 boards for the mast. 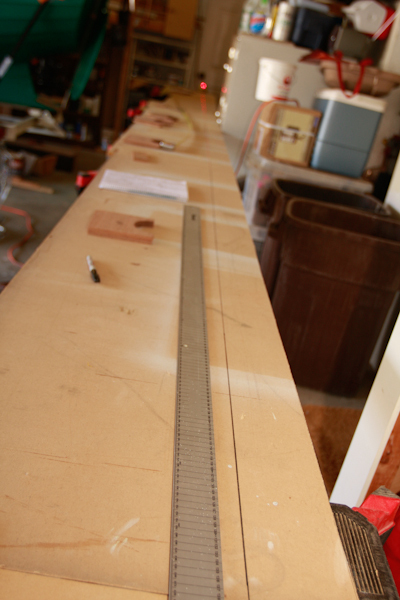 Each board is scarfed to the required 20 ft length. 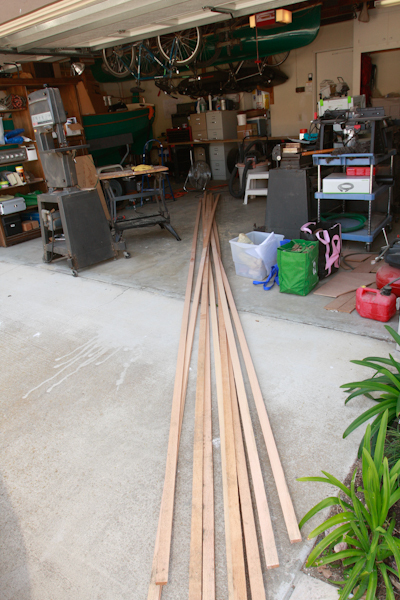 Also I tapered each board to create a narrow diameter at both the bottom and top of the mast. Next step was building an accurate construction table that was both level and had the right sized forms to hold the mast straight. You have to build in the taper on the forms too, else you end up with a warped mast. 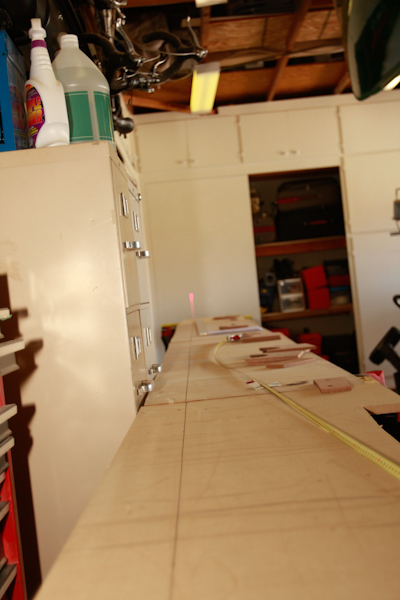 I used a normal level and a laser leveler to make the building jig with correct level and taper. Glue up went well doing the work without help. 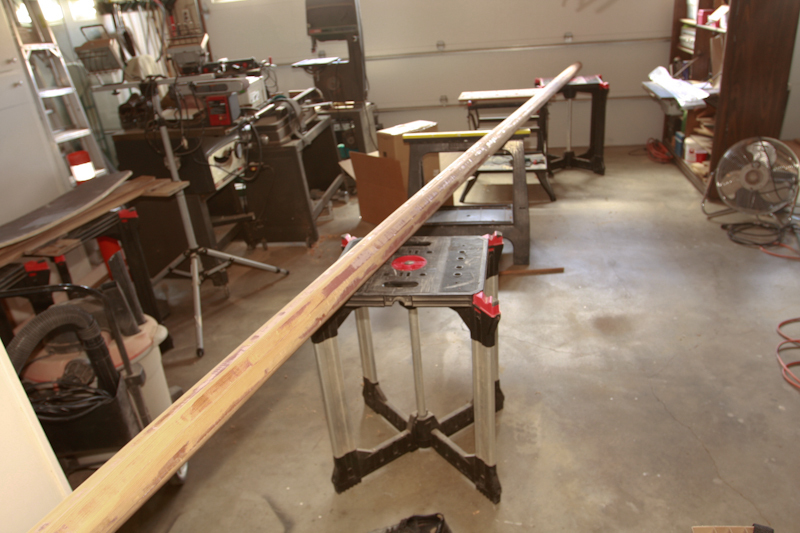 I used West Slow Hardener and had the necessary time to get the mast together before the resin went off. I was careful to put the resin in a large flat pan to prevent excess heat from the resin and worked as quickly as possible in painting the resin on. As long as I quickly spread the resin out I was able to mix several batches of resin as I worked. 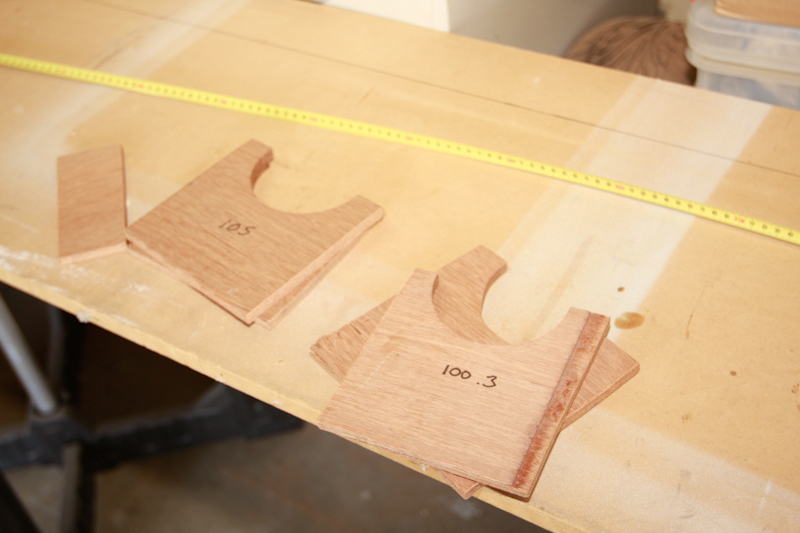 It took about 1/2 an hour to complete the entire glue up and alignment checks. Preplan the entire process and it seems to work out ok. If I had screwed up anypart of the glue up I would have had to start over. 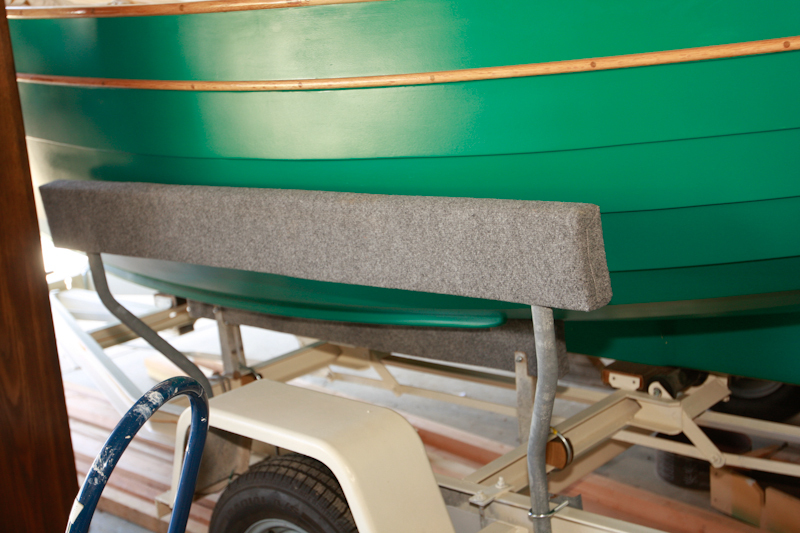 The plans do not call for a hollow mast, but at my age I wanted a mast a bit lighter then solid wood. The finished mast weighs in at 29 lbs, (no hardware) and I am pretty satisfied with that. 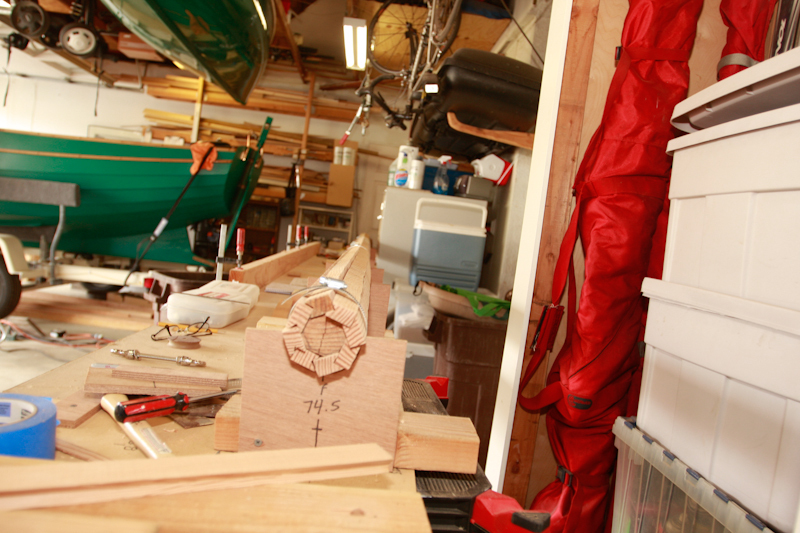 More shaping and then on to fitting the halyard sheath and eye-bolts for the stays.